If you are looking for a way to teach your daughter Bible verses and about the women within the Bible, I have the book for you! 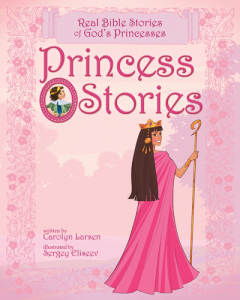 Princess Stories from Tyndale Publishers is the big sister to popular board book My Princess Bible. Princess Stories. This beautiful hard cover book is written and illustrated specifically for girls ages 4 to 8. Surprisingly both of my daughters love it, usually one or the other will like a book and with this one being so “girlie” I didn’t think Sydney would enjoy it. We have already enjoyed time together reading about God’s princesses. 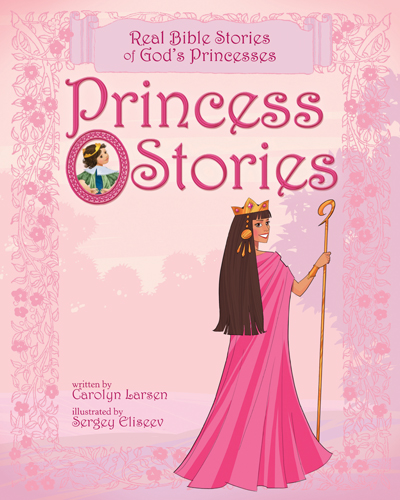 The book is laid out into 30 chapters, 29 of them are narrative stories about women in the bible and the 30th chapter is about the reader….one more of God’s princesses! Each story begins with a scripture reference for your daughter to look up and read (or for you to read with her) in her Bible, a first-person story of the featured Bible woman and the special quality her life reflects. 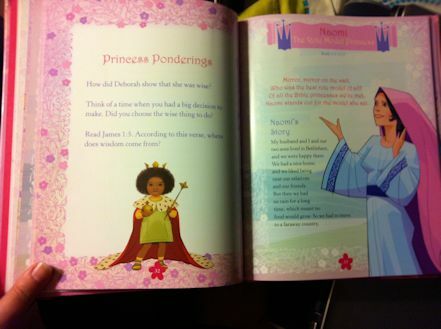 It ends with a Bible verse for your little girl to memorize, and then Princess Ponderings – questions for her to think about and discuss with her parents to learn the lessons within her own life. This is a beautiful book, with lovely illustrations which is based upon scripture and the values which I want to instill in my girls. The 29 women who were chosen from the Bible vary, from Eve to Jesus’ Mother Mary to Mary Magdalene and more….each one tells our daughters a story which will help her through life. This book will definitely be read often in this house! Tyndale House Publishers provided me with a complimentary copy of Princess Stories but the opinions stated here are my own. This looks like a great book. I have a little girl in mind that it would be perfect for. Thanks for reviewing it. 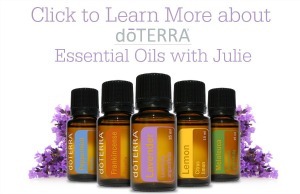 If you hadn’t, I wouldn’t have known about it.